Last Friday saw Congress vote for a last minute compromise approval of an enormous spending bill. The new bill provides for $1.3 trillion in a budget that only ends the political wrangling until the fall when the two parties in Washington must do it all over again. The bad news is that the new measures will add another trillion to the already highest amount of debt in human history. The government's obsession with spending money the country can not afford reminds you why you need to include IRA-approved metals in your investment and retirement portfolios. Eventually the debt level which the country can never afford to repay is going to create serious impacts on the economy and markets. This is another reason why gold makes sense in an IRA. 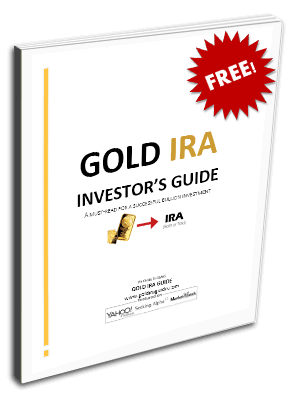 Now is the time to consider some Gold IRA allocation strategies. Congress came dangerously close to a third government shutdown in only the first three months of the year. Fiscal conservatives fought hard to stop huge spending outlays on Democrat demands even as the Republicans claimed control of both houses of Congress and the presidency. In the end, the Senate was able to pass the spending bill just after midnight on Friday morning. This had been a top priority for the two opposing political parties. Yet the comprehensive budget arrangement blows off the caps previously set on the budget. This has stirred up opposition for the next spending battle in the fall just before the midterm elections will take place. In order for the bill to pass through fiscal conservative objections, it needed bipartisan support. This was more easily achieved in the House. Thursday, the House passed the spending measure with a comfortable majority of 256 to 167. It proved how popular the huge spending compromises that fund government operations through the end of September were with the two parties. Both domestic and military priorities enjoy significantly greater spending in the new package. Eventually the opposition gave in to the will of the majority in the senate. When the voting had concluded, the spending package received approval of 65 to 32, also with bipartisan support. They two houses averted the third government shutdown of 2018 a day ahead of the midnight Friday government funding deadline. It has taken Congress five stopgap measures to keep the federal government funded in just this fiscal year. Where Will the Additional Spending Be Allocated Now? The bill on spending increased funds to both the domestic and military programs in the U.S. The military received an additional $80 billion while domestic programs gained another $63 billion. Both amounts were above the prior budgetary cap limits. The spending bill provided important victories to elements in both parties. President Donald Trump received his additional military funding and $1.6 billion towards beginning to construct the border wall with Mexico that he had promised in his campaign. Democrats could claim victory in funding for child care development, building roads, battling the national opioid epidemic, and more. Compromise across the aisle became necessary because Republican leaders could not get all of their financially conservative members on board with the bill. To encourage additional support for it, they concentrated their efforts on the military spending which factors in heavily to the Republican idea of national security. Despite this, a total of 90 Republicans in the House and 24 in the senate could not vote for it. The bill comes at a significant financial cost to the country though. The cost of the new spending bill along with the recent tax cuts amounts to more than a trillion dollars in new yearly deficits. This is something that conservative lawmakers had campaigned against in their promises to come up with balanced budgets through restrained spending. This is how you ended up with more unsustainable budgets put together and passed when so many lawmakers were against uncontrolled spending. Even before the spending bill took effect, the U.S. Federal government debt touched an ominous new benchmark. It reached $21 trillion within the last week. This is the greatest amount of debt in the entire history of the world. It is all the more dangerous as it is greater than 100 percent of the annual U.S. economy. The debt service alone is consuming hundreds of billions from the budget in annual interest payments. Gold is the answer to safeguard your portfolio when the government is spending far more than it takes in from tax revenues. Fortunately, it is easier to acquire and store the yellow metal now than ever before. Today you can even buy gold in monthly installments rather than in lump sum purchases. The IRS has made Gold IRA storage options more flexible too. You are able to store your retirement gold in top offshore locations thanks to the changed rules. Now is the time to take measures to protect your retirement funds before the government's unsustainable runaway spending inevitably catches up with it.